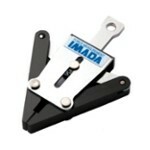 Tensile Test / Tension Test Equipment | IMADA CO.,LTD. 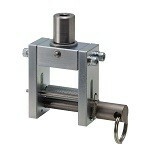 They are attachments to perform various types of tension(tensile) force testing applications. These grips can hold various samples which have different thickness. The available capacity is from 1000N (100kgf) up to 5000N (500kgf). The grips hold a thin sample such as film. Some of models have urethan on the one side of the jaw to prevent the sample from breaking. The available capacity is from 250N (25kgf) to 500N (50kgf). They hold a sample by the widing mechanism. It is ideal for measurement of flexible sample such as rubber, film, tape, etc. The available capacity is up to 500N (50kgf). 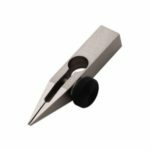 It is designed for loop tensile strength test of cable ties up to 1000N partly in accordance with UL and SAE standard. 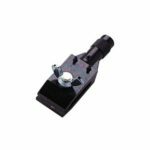 It is designed to perform wire crimp pull test easily and efficiently. 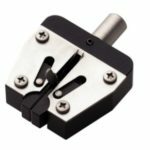 The wedge design is ideal for easy wire grip. The available capacity is up to 500N (50kgf). 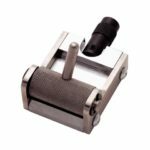 These pantograph grips have easy clamping mechanisms. You can use them as a clothpin. The available capacity is from 300N (30kgf) to 2500N (250kgf). 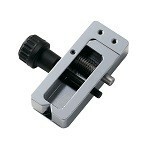 It is ideal for high-capacity wire crimp pull test. The available capacity is up to 5000N (500kgf). They hold a sample by a cam. It helps speedy sample set. The available capacity is from 500N (50kgf) up to 2000N (200kgf). 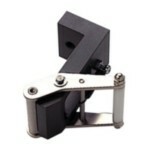 It is designed to clamp PP strapping band firmly without slipping. It can perform tensile strength test up to 5000N. 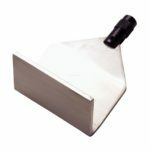 It is suitable for opening strength test of a corrugated cardboard box. The available capacity is up to 250N (25kgf). These grips are ideal for holding a small sample. The available capacity is from 50N (5kgf) up to 150N (15kgf). 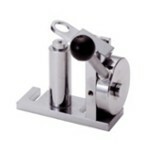 It is designed to perform wire crimp pull test easily and efficinetly. You just hook a wire terminal to use it. The available capacity is up to 500N (50kgf). 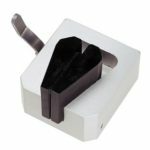 The wedge grips are ideal for holding wire or cable. 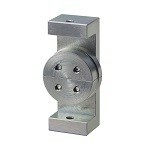 The easy clamping mechanism offer you high efficient measurement. The available capacity is from 500N (50kgf) up to 5000N (500kgf). They hold a sample by the widing mechanism. 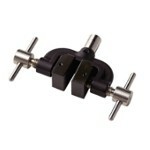 It is ideal for tension test of wire, string, etc.. The available capacity is from 250N (25kgf) to 5000N (500kgf). 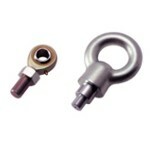 It is designed for wire crimp pull tests which measure the various size of it. 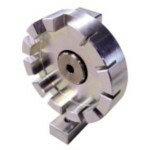 The rotational mechanism offer easy and efficient sample set. The available capacity is up to 1000N (100kgf). Hoisting attachment for high capacity load cell. The available capacity is from 500N (50kgf) to 20kN (2000kgf). 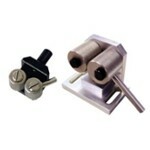 They are ideal for measurement of a soft sample like resin which becomes thin when it extends. Available in capacity from 250N (25kgf) up to 1000N (100kgf). Attachment for tensile strength test of sewed buttons. 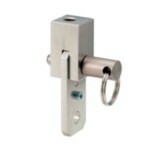 Available in capacity up to 300N (30kgf).